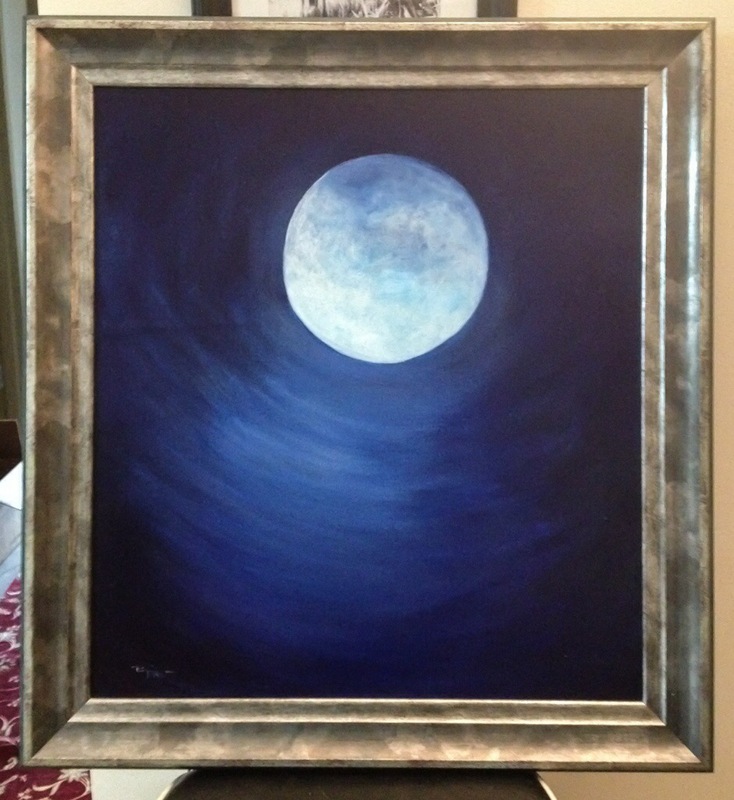 Blue Moon ~ Framed and finished | Expressions of my life - An evolution of art. ← Great things to come…and a bunch more stuff. Just a quick little visit today a I’m getting ready to head out if country again for a short trip. I just got the newest moon piece back from the framers. Please enjoy. A very special thanks to the person who ordered this piece, sometimes I think you know me better than I do. Thank you for pushing me to create during a time when I wanted to hide. More so thank you for believing in me. Yes I thank them too because it’s really good. Safe journey!